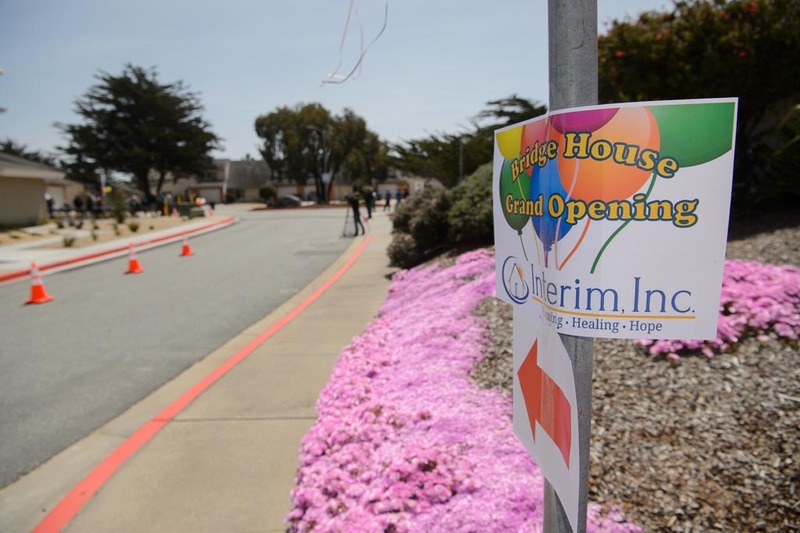 Monterey Herald: New Bridge House Grand Opening - Interim, Inc.
Monterey >> For the hundreds of Monterey County residents living with both a mental illness and a drug or alcohol addiction, securing housing and treatment is a difficult task. Visiting a psychiatric hospital or rehab facility can cost thousands and most affordable treatment centers in the area are near or at capacity. Fortunately, a new facility just opened up in Marina designed to meet the needs of Monterey County’s growing population of mentally ill, low income residents. On Friday, Monterey-based nonprofit Interim celebrated the opening of the New Bridge House. The $4.5 million dollar facility, located in Bayonet Circle in Marina, will provide support services and temporary housing to a growing number of adults struggling with mental illness and substance abuse disorder in Monterey County. The nonprofit secured funding for the New Bridge House through a combination of loans, awards and donations, including a $2.5 million grant from the Central California Alliance for Health. Barbara Mitchell, executive director of Interim, says the new facility was built to meet the “overwhelming” need for residential treatment services for Monterey County residents suffering from a mental illness and a substance use disorder. “We were seeing more and more people who had both a psychiatric disability and a substance problem, and we decided that we really needed to increase the amount of dual diagnosis treatment,” said Mitchell. According to 2009 report issued by the Monterey County Health Department, over 45 percent of adults in Monterey County who suffer from a mental illness also have a substance abuse disorder. Mitchell says the New Bridge House was designed with those people in mind. The old Bridge House treatment facility was only able to house 13 people and only those 13 people were allowed to participate in the facility’s daily outpatient rehab program, which consists of individual and group therapy sessions designed to help patients regain and maintain their mental stability. The New Bridge House treatment facility can house 14 people, and its rehabilitation program can treat a total of 25 people per day. The residential facility and the day rehab program will serve a combined 70 patients per year, and patients who leave Bridge House will be allowed to remain in its outpatient rehab program for up to two years. “Opening New Bridge House will expand our ability to treat people (with a mental illness and a substance abuse disorder) in Monterey County by 75 percent, but there is still a lot of unmet need,” said Dr. Amie Miller, behavioral health director for the Monterey County Health Department. “My calculations show we should have at least 726 more people in this program, so I look forward to the next groundbreaking,” said Miller. Last year, the Monterey County Homeless Census reported homelessness in the county was at its highest level in 10 years — an estimated 2,837 individuals were experiencing homelessness in Monterey County during January 2017, with only 26 percent of them having access to shelter. Nearly a quarter of the chronically homeless individuals who participated in the census claimed mental health issues were the primary cause of their homelessness. Roughly twice as many respondents identified substance abuse disorders as the primary cause of there homelessness. 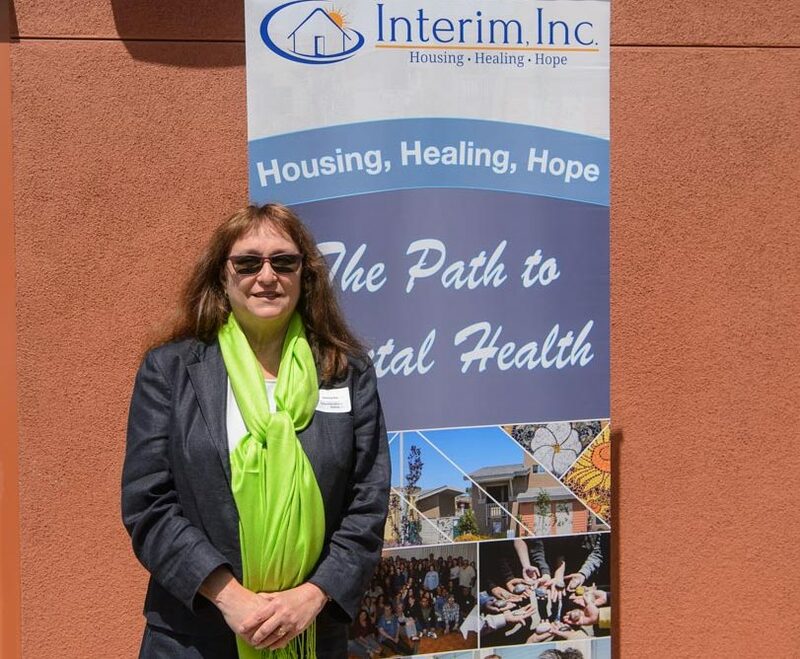 In addition providing affordable housing and mental health treatment services, Interim, which has 21 locations in Monterey County, offers educational and employment opportunities to its clients. In 2009, Antonio Garibaldi entered the original Bridge House as a patient. He graduated from the Bridge House recovery program in 2012 and by 2014, he was working at Bridge House as a community support staffer with the Dual Recovery Program. At the ribbon-cutting ceremony for the New Bridge House, Garibaldi gave an impassioned speech about the importance of facilities like Bridge House. “Interim means the world to me, they gave me my life back,” said Garibaldi, holding back tears. Nine years ago, Garibaldi was convinced he was destined to die in prison, of an overdose, or homeless in the street, but all that changed when he entered Bridge House. “(Interim) actually cared enough to allow me to be me, learn about what made me tick, and point out flaws that I didn’t like in myself, thus allowing me to be a better person,” said Garibaldi. “I thank God that the powers that be in the universe brought these folks together to create this program to help those of us who fall through the cracks,” said Garibaldi. Approximately 25 percent of Interim’s staff are former clients. Garibaldi, who still works for the nonprofit, says his life is better than he could have ever imagined thanks to Interim. The original Bridge House treatment facility, located in Monterey, was recently converted into Manzanita Monterey, a 13-bed facility that provides short-term (up to 30 days) housing and counseling to people experiencing a mental health crisis. This much-needed crisis center will open its doors in June.